In April we will start our next measurement campaign in the Arctic. This time, we are not going to North America, but to the Lena River Delta in Siberia, which is located at 72° north. The campaign is consisting of several phases in spring and summer of 2014. With this expedition we aim at detecting seasonal and regional patterns in methane fluxes in the permafrost landscape. 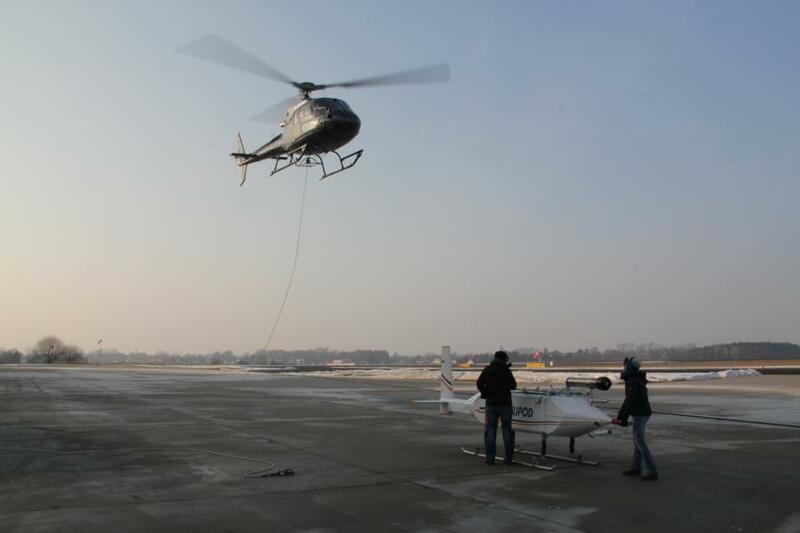 We will conduct science flights across the delta and together with Alfred-Wegener-Institute Potsdam we will install a measurement tower. Different to the AIRMETH campaigns we are not using the Polar 5 research aircraft, but have the measurement system “Helipod” (Fig. 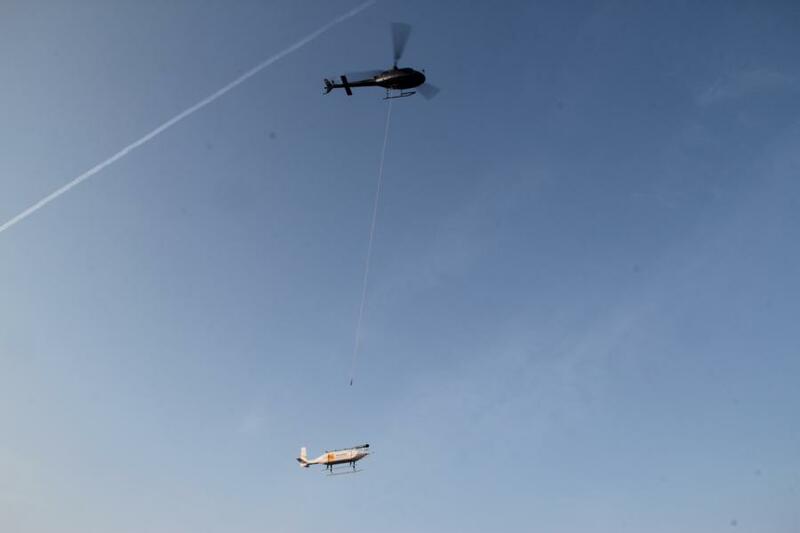 1), owned by our partner Technische Universität Braunschweig, carried by a helicopter. The Helipod has its own electricity supply, a computer and navigation system. During the last weeks and months preparations for the operation of Helipod in the Arctic were made in Braunschweig and Potsdam. Additional to the already integrated carbon dioxide sensor, students of the TU Braunschweig installed a methane sensor. Apart from that the data acquisition system and already integrated instruments got an update. 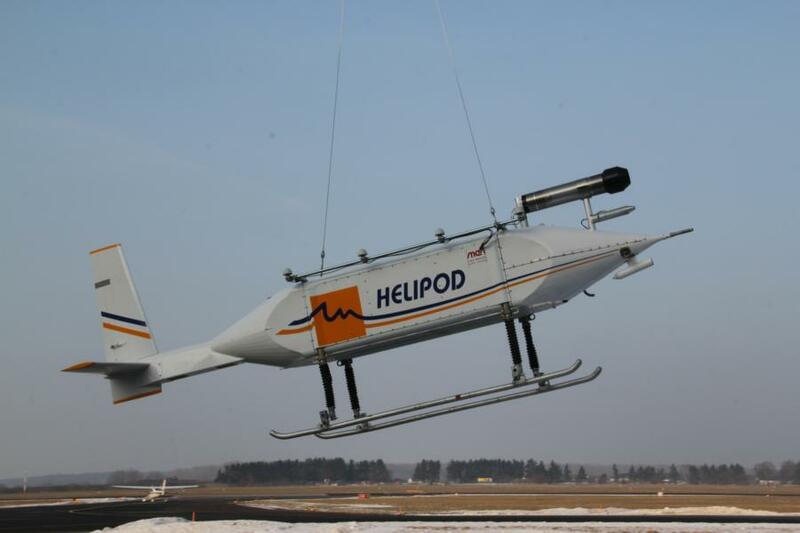 Finally, on January 29, Helipod, measuring 5 meter in length and weighing 300 kgs, was put together and was ready for the test flight. A test flight is necessary to ensure that the measurement devices and computer onboard are working properly during the flight, to fly calibration patterns for the instruments and to practice the duties onboard and on the ground during takeoff and landing. The two long awaited test flights took place on January 30 under perfect flight weather and the respective ground crew could get used to almost Siberian coldness. Before takeoff, Helipod was attached to the helicopter with a rope and then lifted slowly (Fig. 2 and 3). During both test flights all instruments worked without errors. Helipod is ready for its job in Arctic! 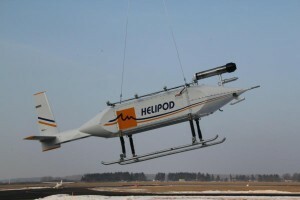 After the test flight, Helipod was dismantled, will be sent on its way to Siberia mid of February and will await us there in April. At this point we would like to thank everyone at the Institute of Flight Guidance and the Institute of Aerospace Systems of the TU Braunschweig, who contributed with their ideas and knowledge to the fact that Helipod is ready for use for a new campaign.